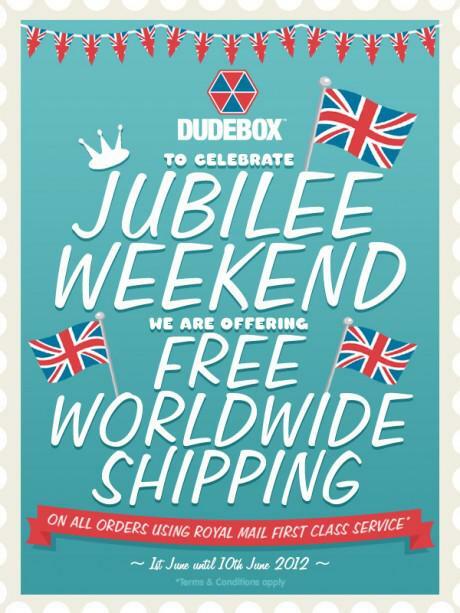 To honor the Jubilee this weekend, Dudebox is offering ten days of FREE Worldwide shipping on all orders. Running through till 10th June, all orders placed during this time period using ‘Royal Mail First Class’ as a delivery option will be shipped fro free anywhere in the world. Select the “FREE SHIPPING” option at checkout. 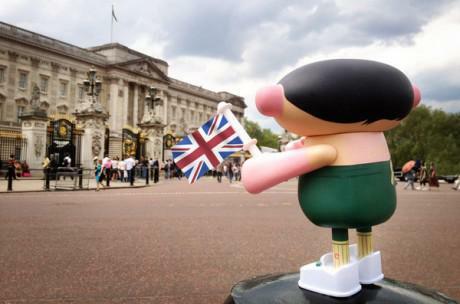 Not ones to miss out on the opportunity for a tie-in with the Jubilee, the guys sent their representative down to Buckingham Palace to a show bit of support with some miniature flag waving.